Description: Drawing installation. In this still life setting everything in the image was primed white first and then drawn hatch marks on with black pen (everything that appears gray). 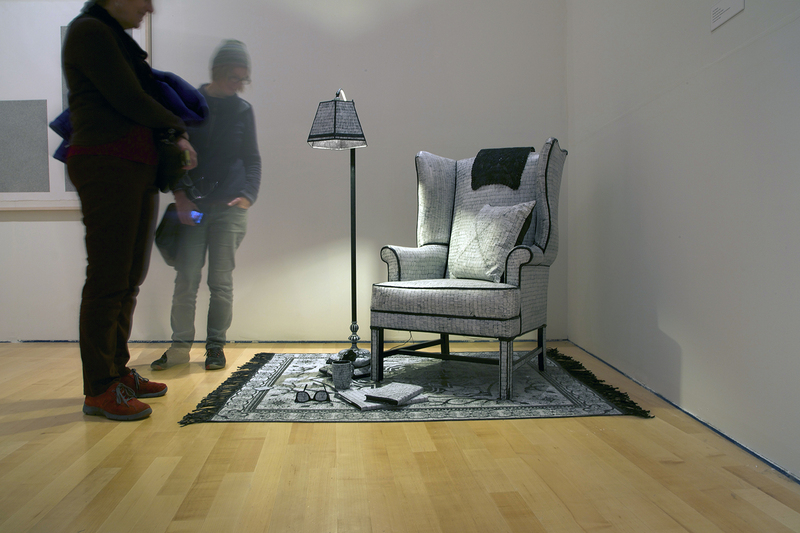 The objects are real and functional and include, a plush armchair, Oriental rug, lamp, books, glasses, tea and a snack.